In 2018 WALO USA was awarded the sub-contract for the first machine paved Ultra-High Performance Concrete (UHPC) Overlay in Sheldon, Iowa. Cramer & Associates Inc. chose WALO as a sub-contractor for the restorative UHPC overlay project, due to our expert know-how and extensive experience with Ultra-High Performance Concrete applications. The client, Iowa Department of Transportation (DOT), who has been pioneering in UHPC applications since 2004 and already implemented UHPC as an overlay on a small bridge deck in Buchanan County in 2016. 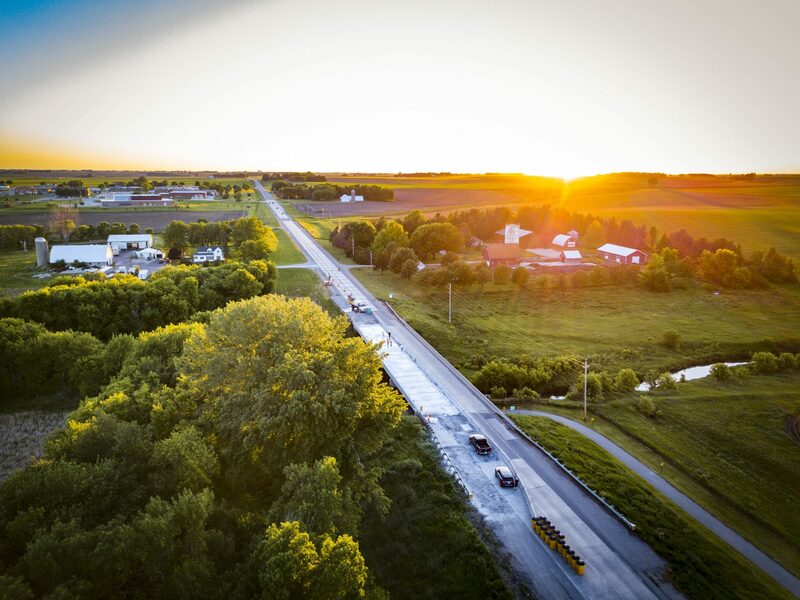 As next step in the development and adaption of UHPC for infrastructure rehabilitation, Iowa DOT decided to implement it on a primary road bridge in Sheldon, Iowa. The bridge measured 205 feet by 44 feet. In the restorative overlay concept, a 1.75-inch thin layer of UHPC is placed on the bridge deck as a protective layer, making them waterproof and helping to save on any additional costs by sparing the expense of deck repair and full deck replacement for many decades. The 9,020 square feet UHPC overlay job was completed in less than ten workdays with our mechanized UHPC paving equipment, by our Swiss-American construction team and with support from Cramer & Associates Inc. and Ductal. One lane of the bridge remained open for public at all times for the course of the project to minimize traffic disruption to the traveling public.